Milton Toyota > Milton Toyota > Have you Seen a Mud-splotched DontGetLost Running RAV4 Around Town? Have you Seen a Mud-splotched DontGetLost Running RAV4 Around Town? Milton Toyota is a proud sponsor of **ADVENTURE RUNNING KIDS® (ARK) — a 12 week adventure running program for kids aged 6+. ARK is not just muddy fun for kids, it builds stronger, faster and smarter runners and an appreciation of the environment. 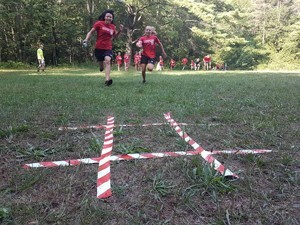 Trail running, navigation, cross country running and obstacles add up to a fun and muddy eco-adventure that builds confidence and problem solving skills.